Hungary’s conservative PM Viktor Orban is set for a third term in office with his party comfortably ahead in Sunday’s general election, results show. The party is also tipped to keep its key two-thirds majority in parliament. The campaign was dominated by immigration, with Mr Orban promising to defend the country’s borders and block migration by Muslims. Mr Orban, who presents himself as the defender of Europe and Hungary from Muslim migrants, in his annual state of the nation speech, claimed his government had “prevented the Islamic world from flooding us”. 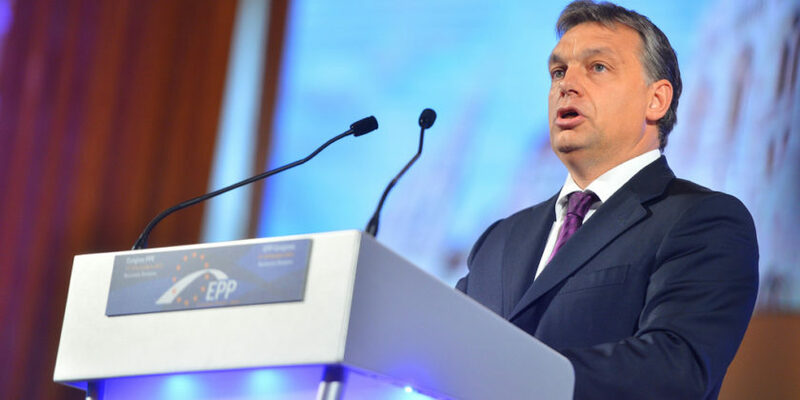 “To us, Europe is a Christian continent and we would like to keep it that way, and although we may not be able to preserve all of it, we would at least like to save the little slice of it that the Good Lord entrusted to the Hungarians”, the Hungarian PM Viktor Orban previously said during a conference in Budapest on Persecuted Christians entitled “Searching for Answers to a Long-ignored Crisis”. Commenting on his talks in Brussels on immigration, he also said that a large share of EU leaders believe that everyone has to be let in – but this would spell the end of Europe, he said, pointing out that the current “Grand Migration” has unlimited supply and sooner or later, we could find that “we’ve become the minority on our own continent”.